Nearly 50 years ago Congress passed the Higher Education Act of 1965, which bans colleges, universities and other higher education institutions from using incentive-based systems for paying recruiters and admissions personnel. In other words, recruiting students to the institution whether they are qualified or not so that the institution can receive student-aid money. In the last decade more than a dozen False Claims Act lawsuits have been brought against for-profit universities, like the 2007 lawsuits against Management Corp. That lawsuit alleged the institution defrauded the government of approximately $11 billion since 2003. In a prior case, the University of Phoenix settled for more than $67 million. In both of these cases it was university employees that blew the whistle on the federal student loan fraud and received millions of dollars in finder's fees for bringing the case on behalf of the government. 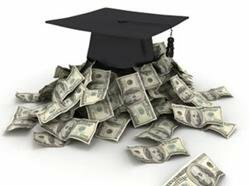 The wave of recent False Claims Act lawsuits against higher-education institutions have mostly focused on for-profit institutions. The lawsuits against Education Management and Phoenix claimed the institutions violated the Higher Education Act by illegally using incentive-based pay for its admissions staff. 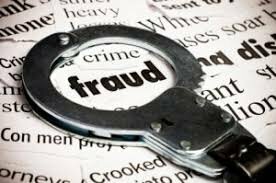 However, the federal laws protecting against government fraud are not limited to recruitment practices. Several types of higher education false claims actions that may be brought by whistle-blowers; in fact, any falsification in program involving federal funding potentially can invite a False Claims act lawsuit. Further, grant monies from federal agencies also play a big role in the research being conducted in colleges and universities. To ensure the institution begins or continues to receive federal grants or student funding, there is an incentive to lie; whether that be about accreditation or the subject of the research to be conducted-both of which are fraudulent acts. If an institution knows that it does not comply and yet still promises compliance, each of these areas can potentially give rise to a whistle-blower false claim action against the university. When university grant recipients knowingly lie about the research they are conducting or the results they are getting, the grant money becomes tainted. For those that are pursuing an education and a career dependent on these programs, the risk of coming forward can be very high. That is why the qui tam provisions of the False Claims Act were designed to reward and protect whistle-blowers who would take such high risks. Whistle-blowers who come forward to expose higher education fraud on the government may be entitled to recover a finder's fee as a portion of the amount the government recovers. Title IV of the Higher Education Act (HEA) was enacted to benefit students by providing them with access to education through grants and student loan programs. An institution of higher education must also be accredited in order to qualify for federal student assistance funding. Certain federal regulations regarding the general provisions of student assistance deal specifically with misrepresentation. An institution is "deemed to have engaged in substantial misrepresentation when the institution itself, one of its representatives, or institution organization, or person with whom the eligible institution has an agreement to provide educational programs, marketing, advertising, recruiting, or admissions services, makes a substantial misrepresentation regarding the eligible institution, including the nature of its educational program, its financial charges, or the employability of it graduates. Regarding financial charges, the regulations state that a "[m]isrepresentation concerning the nature of an eligible institution's financial charges includes, but is not limited to, false, erroneous, or misleading statements concerning....(b) whether a particular charge is the customary charge at the institution for a course." Substantial misrepresentation is: "[a]ny misrepresentation on which the person to whom it is made could reasonable be expected to rely, or has reasonable relied, to that person's detriment." The False Claims Act (FCA) is a civil statute that provides for damages and penalties for the knowing submission of false and/or fraudulent claims to the government for payment. The False Claims Act provides that any person who knowingly submits a false or fraudulent claim to the Federal Government for payment or approval is liable to the government for a civil penalty of not less than $5,500 and not more than $11,000 for each claim, plus three times the actual damages that the government sustained. A university or other recipient of taxpayer money acts knowingly when it has actual knowledge of the information, acts in deliberate ignorance of the truth or falsity of the information, or acts in reckless disregard of the truth or falsity of the information. The FCA also permits assessment of the civil penalty even without proof of specific damages. Federal government lawyers did not initiate the Education Management Corp. lawsuit; a former admissions worker at Education Management brought it on behalf of the government under the False Claims Act. Because it is nearly impossible for the government to catch all instances of fraud, the False Claims Act encourages employees and other knowledgeable people to "blow the whistle" on schemes that defraud the government. To do so, people with knowledge of fraud file lawsuits, known as qui tam lawsuits, on behalf of the government against universities or companies allegedly committing fraud against the government. If the lawsuit is successful, the whistle-blower, may be eligible to receive a percentage of the government's monetary recovery. If the government intervenes in the case, the whistle-blower may receive between 15 and 25 percent of the recovery; if the government declines to intervene, the whistle-blower may receive between 25 and 30 percent. Further, the False Claims Act protects employees from retaliation- such as demotion, harassment or firing- by their employers for bringing forth qui tam lawsuits. Employees that are retaliated against may receive their job back, compensation or other damages. The laws recognize that the stakes are high and that strong protections and personal rewards are the only way to get employee whistle-blowers to come forward. Incentive-based recruiting, misleading federal agencies about the research being conducted or eligibility to receive student funding are just a few examples of many, many ways universities and government contractor companies are defrauding the taxpayers paying for our government. If you believe your school is actively committing fraud against the government, speak with attorney Webb about blowing the whistle!